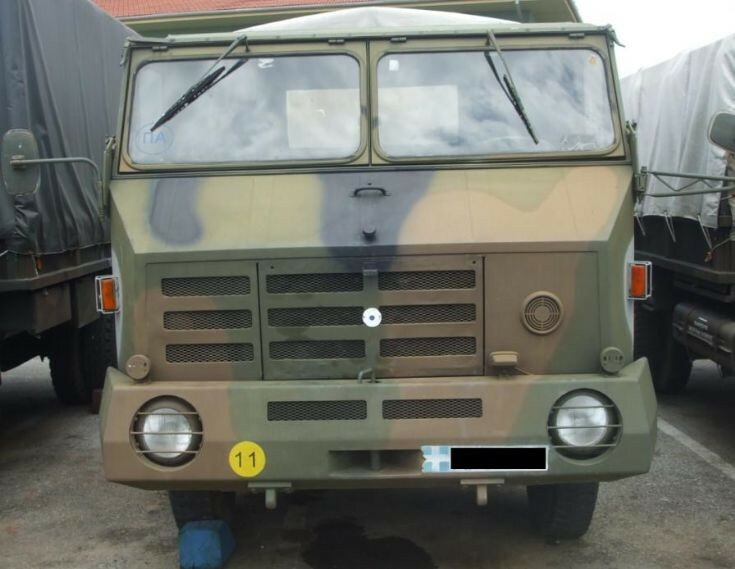 Military Vehicle Photos - Steyr 680MH seen at a depot. Steyr 680MH seen at a depot. 680MH is the same truck with Steyr marathon 680M/M3 (picture #535),but has different cabin with cloth roof. Manufacturer is ELVO.